Seats 6 + Breakfast Bench for 2. 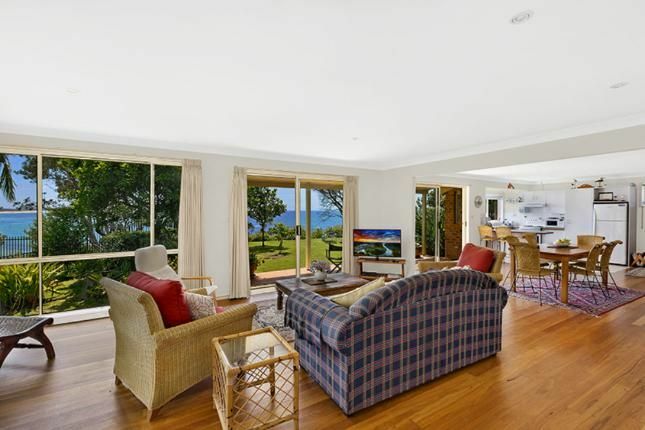 NOTE: This property is not fully fenced and is located on a well vegetated cliff Bookings not accepted for parties / functions / under 25's/ schoolies or bucks/ boys & hens weekends. Blankets & Pillows are provided however sheets and towels are not supplied, Linen packs can be hired for $11 per guest.